Finally, the long wait is over! 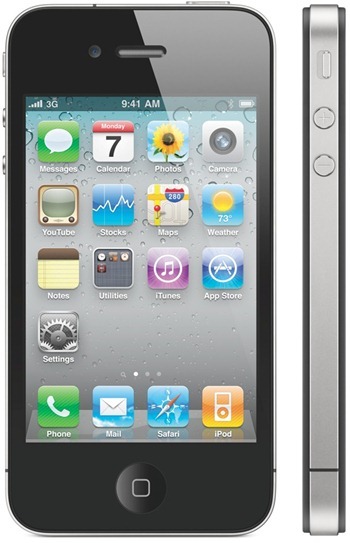 iPhone 4 has been announced today at the World Wide Developers Conference (WWDC 2010) by Apple’s CEO Steve Jobs. The iPhone 4 is a monster compared to the earlier models, with tons of new features, here’s all what you need to know about the new iPhone 4. The iPhone 4 is a phone which without any doubt beats the hell out of iPhone 3GS! The phone is packed with loads of goodies inside out! 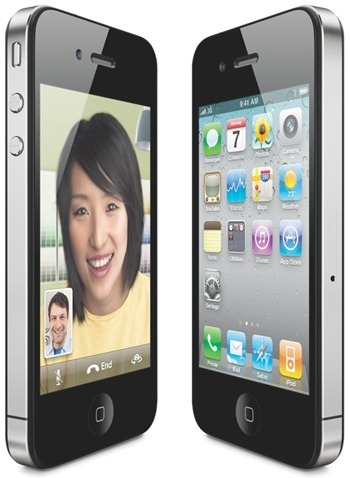 iPhone 4 will be powered by iOS 4 (formerly iPhone OS 4) which brings 1500 new features. iOS 4 will also be available for iPhone 3GS and 3G, along with iPod touch 2G and 3G for free. Some features however will not work on iPhone 3G and iPod touch 2G. iOS 4 is available as of today for developers only and it will be available publicly via new iTunes on June 21st. Since the iPhone 4 is running the iOS 4 (formerly iPhone OS 4), therefore all the apps available on the iTunes App Store will run without any problem. But since the screen resolution is far more than any of the previous iPhones, therefore the present apps will look even more visually stunning! The iPhone 4 will come in two models, the 16GB one which will sell for $199 and the 32 GB one which will sell for $299, both will be available in full white and black. Apart from this, price of iPhone 3GS has been reduced to just $99 for the 8GB model. iPhone 3G has been discontinued. You can pre-order your iPhone 4 on June 15th and you will get in stores across the United States on June 24th. It will be available through AT&T, and if you’re an existing AT&T user with an iPhone and your contract is expiring this year, then AT&T will have an upgrade plan for you on iPhone 4! This is really great news! On launch, the iPhone 4 will not just be available in the United States only, it will also be available in France, Germany, United Kingdom and Japan. And later in July, Apple will push it to 18 more countries. We’ll keep you updated when or if the iPhone 4 is available in more countries. Apple has announced a range of cases for the new phone called as the “Bumpers”. 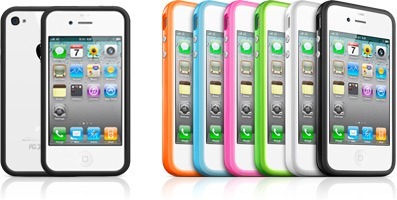 They look pretty, vibrant and stylish, and will be available around the same time as iPhone 4. The iPhone Dev Team is already working on this one, and they have promised an unlocking solution which would be out by the end of June. Stay tuned for this one! UPDATE 1: iPhone 4 pre-orders are now up! iPhone 4 in UK, France and Canada are available unlocked without contract. More info here. Question: with quad-band HSPA on the iPhone 4 will T-Mobile's 3G connetion work? so iguess the new iphone 4 will be also locked ,right ? i mean that's if i order one from the state now it will be locked ? if The iPhone Dev team manage to unlock it by the end June, that will be amazing and I'll surely buy it. This is looking amazing…. Hopefully they'll do it. how can v unlock tis..? wen it has a micro sim…?? You can jailbreak a 3GS…since a couple of months ago. Is that what you're talking about? The iPhone 4 unlock means nothing to USA based users. The new iPhone 4 will come with a micro sim card (smaller size of the sim card). T-MOBILE is the only other GSM carrier and they do not offer micro-sim card (unless you try and cut the regular sim card and make it that size). Also, those who desire to use their non-iPhone AT&T plans (like the Go-phone customers or any AT&T cell phone (non-iPhone) customers, will not be able to put their sim card in the new iPhone 4 as that SIM card is not the size of micro sim card. Yes iphone 4 will be also “LOCKED” to carrier like AT&T in US, and yes they is also an UNLOCKED coming out to iOS4: this should include 2g (not on 3.1.3). 3g and 3gs on 3.1.3 FW and even iOS4. So if you want to buy iphone 4 and unlocked it – you should be able to when the DEV Team realease it by the end of the June or when iPhone 4 is out and the iTunes 9.2 is out for windows (or for public) . the question is: how are you going to use it on T-Mobile or other GSM carrier around the world when iphone 4 will be using micro sim. This is a new feature on iphone 4g. so even if your old iphone 2g,3g or 3gs sim will not work on iphone 4, unless you cut your sim and try to fit in iphone 4 lol 🙂 Does your GSM uses micro sim? these are the things you want to know first. They could probably make a custom adapter for micro sim to fit on regular sim tray (the one that 2g,3g and 3gs are using). Of course people will always make a way how would old sim would fit on a micro sim tray. I have a 3gs that I had to update to 3.1.3 because of problem with blackra1n rebooting. So I had to buy a unlock 3g on Craiglist in a meanwhile. Because I know the DEV team will release the unlocked for 3.1.3 or iOS4 so I am not one of those people BUGGING or blaming the DEV to when are they will be releasing the unlocked. They are not stupid to release it yet NOT until iphone 4 is out or iOS4 is out so iTunes cannot patched the jailbreak and unlock exploit. They (apple) will probably patched the spirit jailbreak when they release the iOS4 and itunes 9.2 but if you search the web or follow redmondpie they already did jailbreak for iOS4. So I wont be worrying about spirit jailbreak. T-mobile will actually be selling the iphone 4, therefore will have to provide microsim. Will the iPhone 4 have an Unlocked ver.? Because i live in Venezuela and here it will be EXTREMELY expensive T.T I prefer to buy it in USA! heyy cn neone tell me k if i buy an iphone frm u.s dn is it possible to unloked it in india or nt…..if yes dn how… n is there some one who can send me d iphone frm u.s only to india n i will pay d money…. I can get it for you. please i need some answeres.am in Ghana in Africa and i want to know if i can use the iphone 4 in africa.i need answeres urgently. i can do it but it’ll cost you around $500 dollars because you need to get a 2 yr. contract to get for $299.. no joke..
hey hi im frm india i want to bye iphone 4 16gb can u plz inform the exact cost of the phone and hw can i use it in india….